Contemplating Brittany Maynard's Final Choice : Shots - Health News People who choose assisted suicide tend to be over 65, white and well-educated. And they want to feel in control of their fate. When a young person chooses that route, it draws fresh questions. Brittany Maynard, seen in a family photo, died Saturday after taking lethal pills. 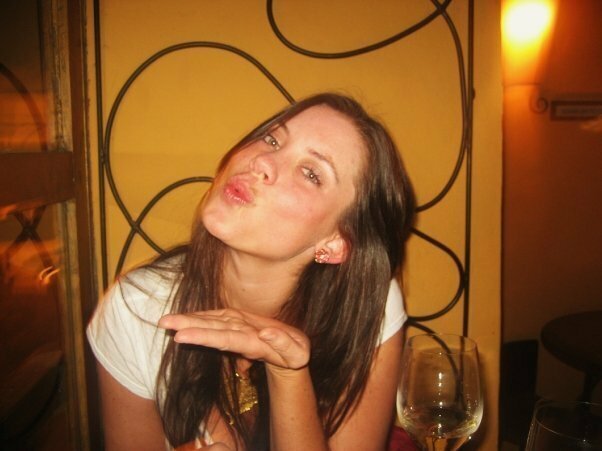 Brittany Maynard was a beautiful anomaly. Most 29-year-olds don't get incurable brain cancer. Most young cancer patients don't choose assisted suicide when given a terminal diagnosis, or decide, as Maynard and her husband did, to pack up and move to another state so she could have that choice. And Maynard also decided to let the world in on her excruciating choice, opening herself and her family up to criticism at a time when that's the last thing they needed. Younger people are much more likely to get aggressive therapy till the end, have much more suffering at the end, and have their families experience PTSD and depression after their passing. In part, that's because it's such a violation that any young person should die. It's hard to back off the goal of trying for more time no matter what, towards insuring as good a life as possible in the time we have remaining with them. Ultimately what made it possible for Emily to accept her mother's choice was a get-together for family and friends with her mother. The people who choose assisted suicide are typically much more like Emily's mother than like Brittany — they're older than 65. They also tend to be white, well-educated and to have put a great deal of thought into their choice. And most who ask about the option don't follow through in the end. Indeed, a study published last year in the New England Journal of Medicine found that just 16 percent of 114 terminal cancer patients who had asked about assisted suicide at the Seattle Cancer Care Alliance eventually decided to kill themselves. Only one-third filled the prescription. Most never continued beyond their first inquiry. "Qualitatively, patients and families were grateful to receive the lethal prescription, whether it was used or not," the study authors wrote. The most common reason people gave considering assisted suicide was fear of a loss of autonomy. If those numbers hold true, assisted suicide will remain the choice of very few people, even if it becomes legal in more states. And even people who decided in the end to make that choice don't say it's easy. Ethan Remmel, a psychology professor with cancer who died at age 41, wrote eloquently about the process, about his frustration that his family and doctors seemed to value quantity of life over quality, and about his grief at a life cut short. Average survival time from my diagnosis is around two years. I will survive only about half of that. But I do not feel like a failure. I did the best I could with the time that I had. I may not look like a success as a dot on a graph, but I feel like one. Birth and death may not be pretty or pleasant, but we can still be proud of how we handle them.